The Presidential Suite got a make-over and we were there to help. Updating the interior of the Presidential Suite included laying down glossy porcelain tiles. These are very slippery when wet. To reduce the risk of slips and falls, we were asked to treat the area with our anti-slip coating. The space looks fresh and bright and the floors are still shiny! High gloss porcelain tile is the go-to for most renovations these days. While they add a clean fresh look to a space, they can also cause concern for safety. 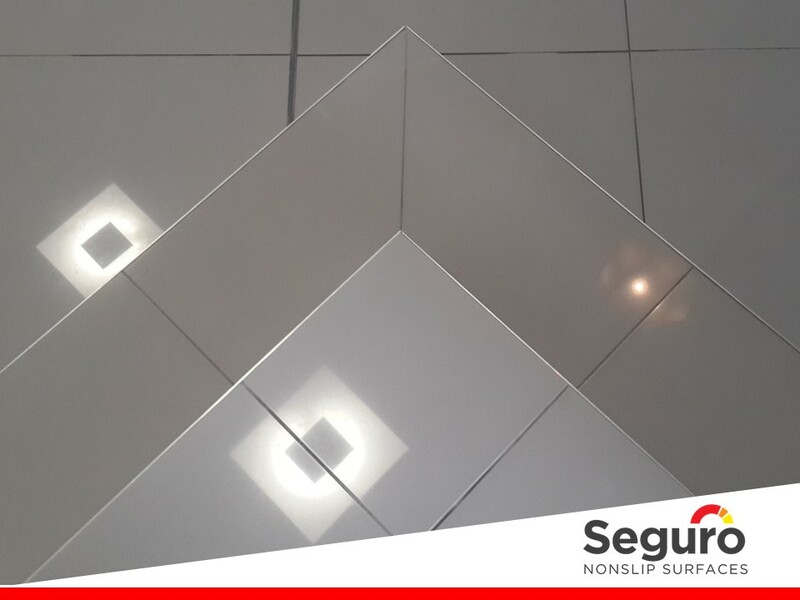 When wet floors threaten the safety of visitors and the high quality look and feel of the interior design there is only one option – Seguro Nonslip Surfaces’ “invisible” anti-slip coating. With our anti-slip coating the floor is safer and still shiny! Protecting supporters against slips and falls without detracting from the luxury of the Suite.